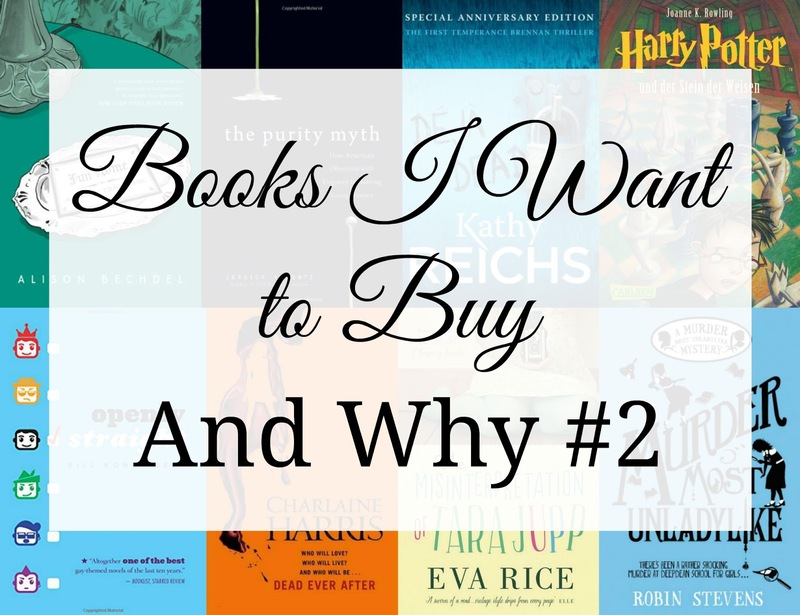 Welcome to my second instalment of Books I Want to Buy and Why where I am true to the title and pick several books from my wishlist that I haven't bought yet and say why I want to buy them. Then my dear readers can weigh in on what I should or shouldn't buy and tell me what's on your wishlist! The first post in this series is here! So what's on the wishlist these days? A while ago I discovered Cece (Problems of a Book Nerd) on Youtube and marathoned her videos, at some point she mentioned this book and I immediately looked it up, read the synopsis and added it. I've been really interested in LGBT+ fiction lately and this book has some great reviews. The last Sookie Stackhouse novel and the only one I don't own. This book has some pretty terrible reviews but I can't really get so far into a series and not finish it. I want to know what happens to Sookie, and I don't want to google. I recently read The Lost Art of Keeping Secrets by Eva Rice and loved it. You can read my rave review here and since then I've not been pulled into a book in quite the same way where I want to savour it and not rush to the end. It seems to me like if Eva Rice can do it once, she can probably do it again and this was just the one that stood out to me most of her published books. A while ago I finished the Aurora Teagarden series and started on the hunt for a new cosy crime series to fill the gap. This popped up on my Amazon recommendations and the cover drew me in. Then I found out it's a murder mystery series set in an all girls school and I'm a sucker for that kind of thing. There are other books I want to read first though. I first heard about this on the Books on the Nightstand podcast and then saw it on Cece's Favourite LGBT books video. This is a graphic memoir set in a funeral home that sounds super interesting and seriously- when two separate people who you respect the opinions of, both tell you to pick up a book, the least you can do is add it to a wishlist. I went on a bit of a spree a while ago looking up books that would make me smarter about society and feminist issues. The Purity Myth was one that made the cut, as it looks into America's obsession with female sexuality and virginity. Most of my media consumption is American, I have a lot of American friends and while I think that there are vast differences between America and Britain- each has a lot of influence on the other. I think this would be a really interesting read. So Bones is a TV show I never really watched until the guy who sold me my phone told me I looked like Emily Deschanel. I don't see it, but I watched about 7 seasons of the show in a month and that is enough to know that I love it and want to read the books. This is the first in the series. One of the recommendations people always give when you're learning a language is to read a book you know well, in the language. So Harry Potter and the Philosopher's Stone in German is my pick since I pretty much know it word-for-word in English. My German is pretty weak though so I'm not sure how far I would get. The German covers are so pretty and playful too. What do you think of my picks? What's on your wishlist?